1. I received some goodies in a swap from a Japanese store. I love the little plastic things that keep the bobbins on top of the threads. 2. 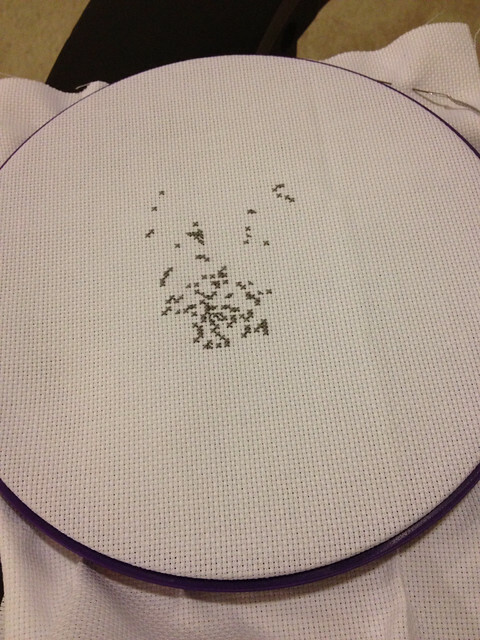 I’ve started a cross-stitch! I haven’t done any since I was a young teen. Can you guess what it is yet? 3. 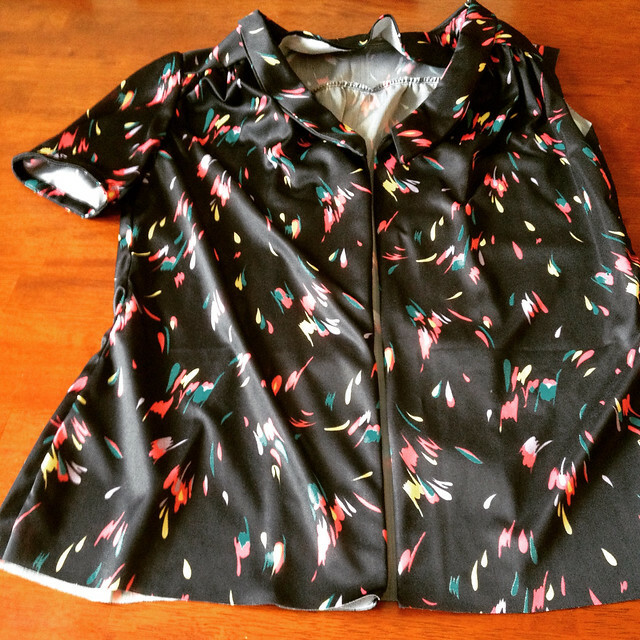 The blouse is now finished but here it is mid-make! 4. Baking cookies! So easy & so tasty 🙂 Recipe from Tanya Burr. 5. 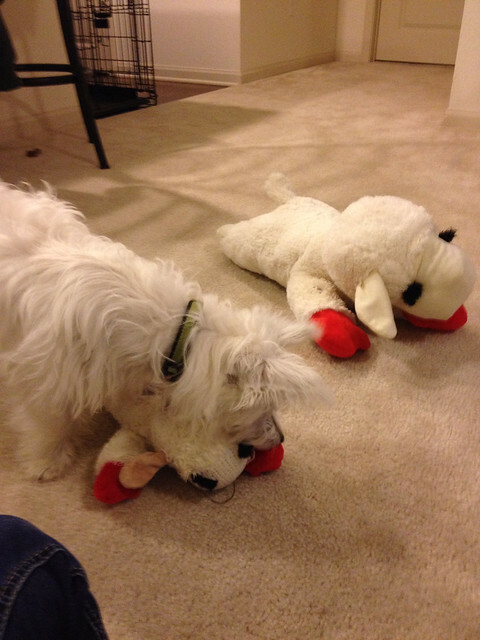 Maisy’s new Lamb chop toys came. She loves them both but the larger one already needs repairing! 6. I took part in a #loveyourinnergeek swap for the days of April. Basically 30 small gifts based on the things you love or ‘geek’ over! These handmade cards are perfect for handmade gifts! 7. 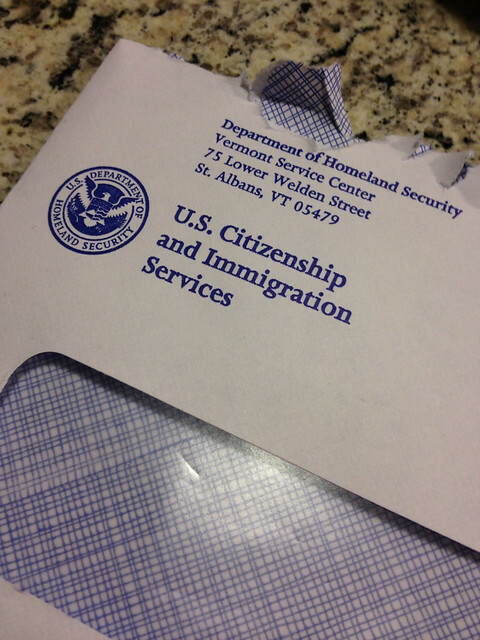 My visa extension was approved. It took 4 months to process! I’m now waiting on the change of status so I’m ‘officially’ Adam’s spouse. I’m hoping that won’t take as long! Are those pink thingies designed to keep thread with its matching bobbin? What a good idea! Nope, no idea what the cross stitch is – give us a clue? Have the Lamb Chops dissuaded chewing of personal effects or is that asking too much of such a young puppy?! Yes they are! I’ve never heard of/ seen them before! Such a great idea as I don’t have a bobbin case so my drawer is nice and tidy now 🙂 The cross stitch is dog related! The lamb chops have worked but they both need repairing now! We are limiting her to plastic toys but she doesn’t want to play with them as much as soft ones…which she then destroys! I’m guessing your cross stitch is some kind of animal?! 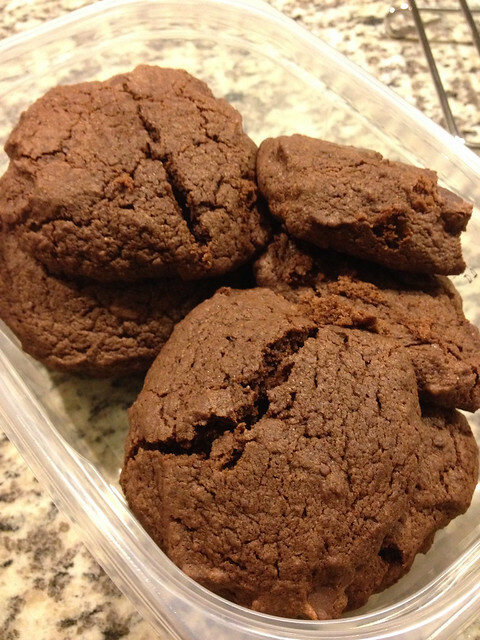 And your cookies look so yummy! Yes they are enjoyed but now they both need repairing! 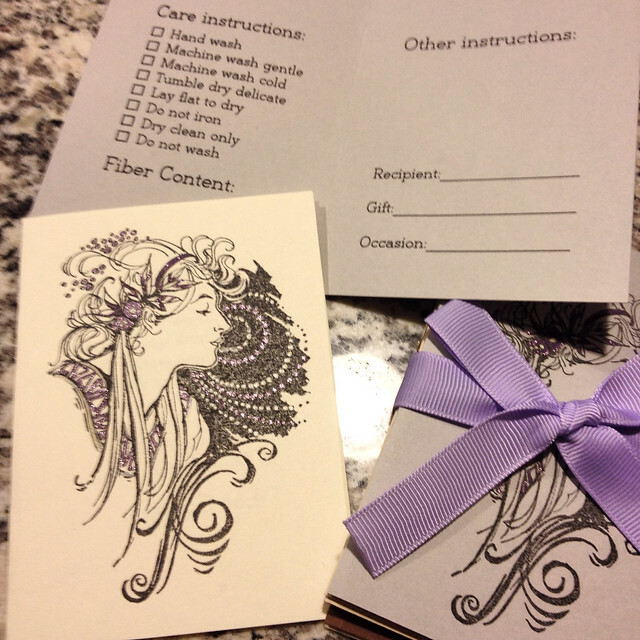 I love the cards–what a great idea! And congrats on the visa. Have a wonderful week!